Eight wards were contested on Wednesday, all successfully defended by the incubents. The ANC retained its six wards with ease, while the DA had to fight hard for one of its two victories. While the ANC increased its margins of victory in a few wards, the DA just about retained control of George municipality. Of course, the week’s also brought the ANC a Tlokwe-sized headache. By WAYNE SUSSMAN & PAUL BERKOWITZ. Nine by-elections were scheduled for Wednesday, but at the last minute the vote in ward 39 of Ethekwini was postponed. This ward, in Kwa-Mashu, has already seen one by-election and its fair share of controversy, but that is a tale for another time. In the Eastern Cape, in ward 2 of Nkonkobe (Alice), the ANC retained its seat comfortably. In 2011 the party won the ward with 75% of the vote (COPE 21%). It increased its share to 89% on Wednesday (PAC 11%). It is not clear why COPE did not contest the vote. In the Free State, in ward 4 of Mantsopa (Ladybrand), the ANC increased its share of the vote from 82% (COPE 16%) to 92% on Wednesday (an independent candidate won 8%). The previous councillor, Mvuyo Ncwada was expelled from the council. The reasons behind the expulsion are not clear but it is understood that Ncwada backed the anti-Magashule faction in the PEC elections and the anti-Zuma slate at Mangaung. Despite his expulsion from the council he had campaigned for the ANC and its (winning) candidate, Papiki Thaisi. Thaisi is believed to be supportive of Ncwada and believes he was treated unfairly. Based on this information, it is not clear why Thaisi was chosen as a replacement for Ncwada. Turnout in both the Nkonkobe and Mantsopa wards was far lower than in the 2011 elections. Three by-elections were held in KwaZulu-Natal. In ward 2 of Vulamehlo (Dududu) the ANC won with 76% of the vote in 2011 (NFP 16%, IFP 8%). The ANC retained its seat with 68% of the vote (IFP 17%, DA 13%, NFP 2%). The DA will be happy with the 13% of the vote it achieved on its first outing, while the NFP will be asking why it had such a poor showing. In the Mandeni municipality, wards 6 and 12 were contested. The by-elections were triggered by a tragic event: the two ward councillors, who were great friends, died together in a car accident. Evutha Ndulinde, the councillor in ward 6, won the ward for the ANC with 71% of the vote (NFP 18%, IFP 9%). Mathonsi Mabane, the councillor in ward 12, also won his ward for the ANC with 71% of the vote (IFP 14%, NFP 10%). Ward 6 was retained by the ANC, with the party’s share of the vote rising to 88% (IFP 9%, NFP 2%). Similarly, ward 12 was retained with an increased share of the vote (ANC 78%, IFP 15%, NFP 7%). Two wards were contested in Limpopo. In ward 4 of Mutale, the ANC’s support dipped slightly from 91% to 86% in the by-election. 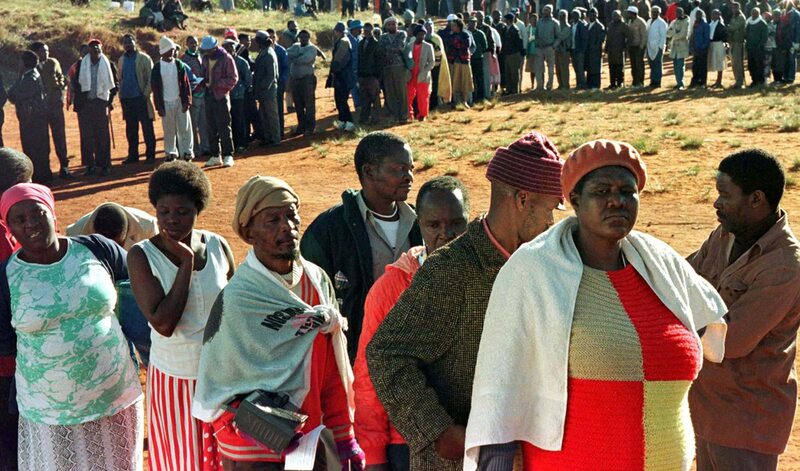 The DA’s share of the vote increased from 3% to 14%, with hardly any change in voter turnout. The DA will appreciate its increased share of the vote. In ward 4 of Mookgopong (Naboomspruit) the DA fought off the FF+ and an independent candidate to retain the ward. Before 2011 the ward belonged to the FF+, but the DA won the ward in the elections with 57% of the vote to the 35% of the FF+. The DA candidate, Charles Van der Merwe, although he was an experienced civil servant, was not as well-known as the FF+ candidate and the independent. Pieter Mulder had campaigned for the former, Ilse De Beer, in the lead-up to the elections. The independent candidate, Philip Van Staden, is a former DA member and has leadership positions in the local chapter of Afriforum and a ratepayers’ association. The DA candidate took 41% of the vote to the 36% of the FF+ and the 18% of the independent. Voter turnout was a healthy 49% of registered voters. This was a very important ward for the DA to retain, to show that the party’s support remains strong among its more conservative supporters. In the Western Cape, in Ward 14 of George, the DA defended its second ward in two consecutive by-elections. The DA runs the municipality with 25 out of 49 council seats and therefore by the slimmest of majorities. It successfully defended another ward in May, and faced another tough fight on Wednesday. The DA won the ward with 43% of the vote in 2011 to the 30% of the Plaaslike Besorgde Inwoners (PBI) and the 17% of the ANC. The former DA councillor resigned, triggering the by-election. Besides the candidates from the DA, ANC and PBI, the Independent Civil Organisation of SA (ICOSA) also fielded a candidate, following their strong showing in the previous George by-election. The Icosa candidate happens to be the husband of the former DA councillor. The DA retained the ward comfortably in the end, increasing its share of the vote to 63% (PBI 18%, ANC 13%, ICOSA 6%). This by-election may not be the end of the DA’s trials in the municipality; at least one more DA-held ward is expected to be contested in the coming months. After the votes were tallied, the status quo remained unchanged, broadly speaking. No wards changed hands in this round of by-elections, although it was a very close call for the DA in Naboomspruit. The ANC should be pleased with the results, although its small losses in Vulamehlo and Mutale will take some of the shine off its victories. Conversely, the DA’s gains in Vulamehlo and Mutale will help it to breathe more easily after the thrills in Naboomspruit.